Camera traps, motion sensor cameras or trail cameras: these are some of the names for a very handy device used all over the world, for many different conservation applications. Camera trap are essentially remotely activated portable cameras that are triggered by motion through infrared or a motion sensor. In recent times these devices have improved greatly, becoming substantially more beneficial to users. They have become smaller, which makes them easier to use and conceal. The increased operating/battery life allows for longer periods in the field. Higher image quality allows for more detailed identification and behavioral information. The trigger speed has also improved, resulting in fewer misses and generally better images. A camera trap set in the field. Correct placement is crucial for best results. 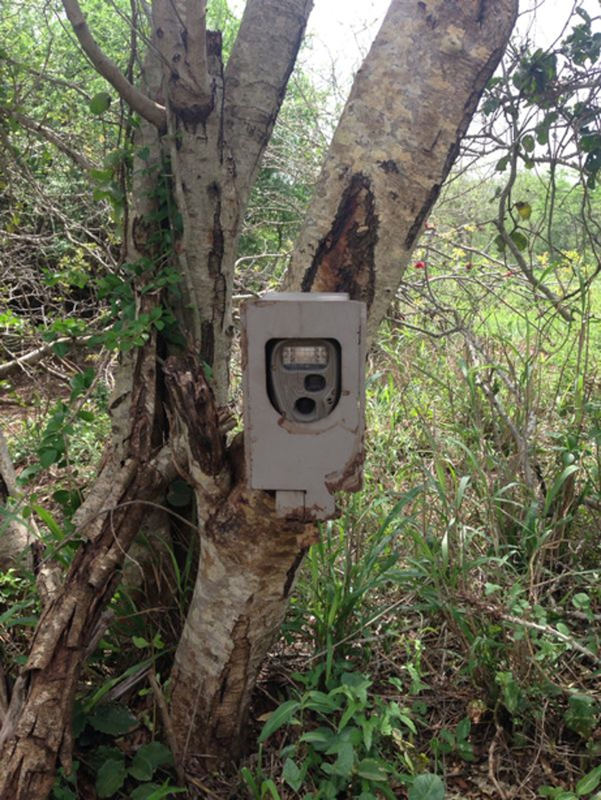 These devices can be used for numerous applications – whether for a specific research question or just basic monitoring information, every researcher, conservationist or wildlife enthusiast should have camera traps in their tool box! A male leopard caught on camera during a leopard density survey. Broad side orientation and great quality make for easy identification of the individual. 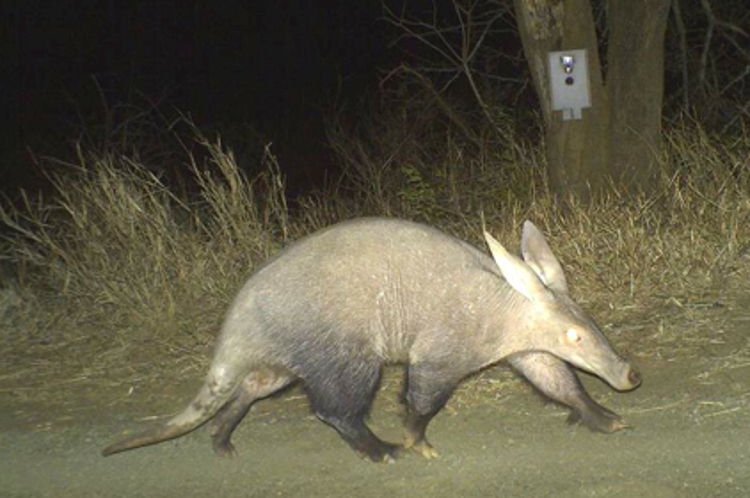 Camera traps are ideal for carrying out small mammal surveys, especially for capturing more elusive and nocturnal species such as aardvark. 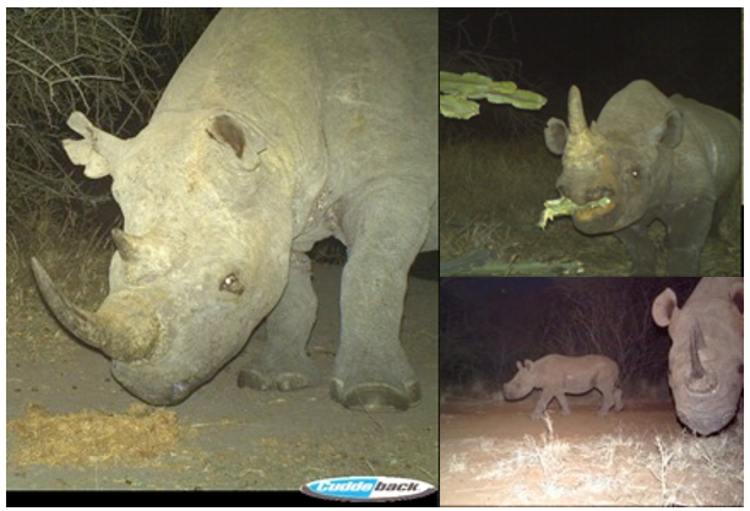 In Africa specifically, camera traps have been an important component of endangered species monitoring, particularly for more elusive species such as the black rhino. In many areas black rhino are characteristically shy and difficult to observe, which can result in poor knowledge of a population and its demographics and ultimately poor population management. 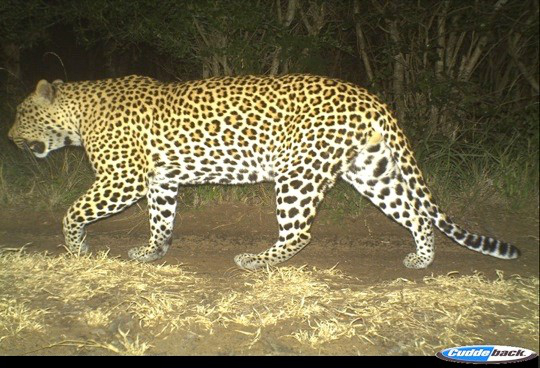 This is where camera trapping comes to the fore: When used effectively, the information captured by cameras can be invaluable, especially when coupled with other monitoring techniques. In some cases the addition of camera traps has improved monitoring dramatically, with a 60% “known”/identifiable population becoming a 95% “known” population in a matter of months. Various black rhino images. These help to identify individuals, their location, new calves and even feeding habits. 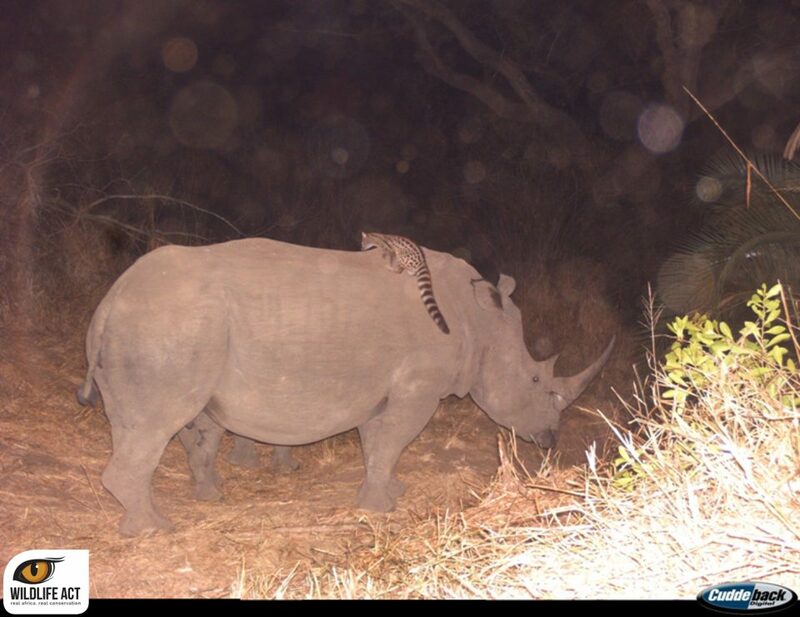 Previously unknown and interesting behavior, such as this genet on a rhino, are an added bonus to having cameras in the field. Camera traps can give great insight into species diversity and density. 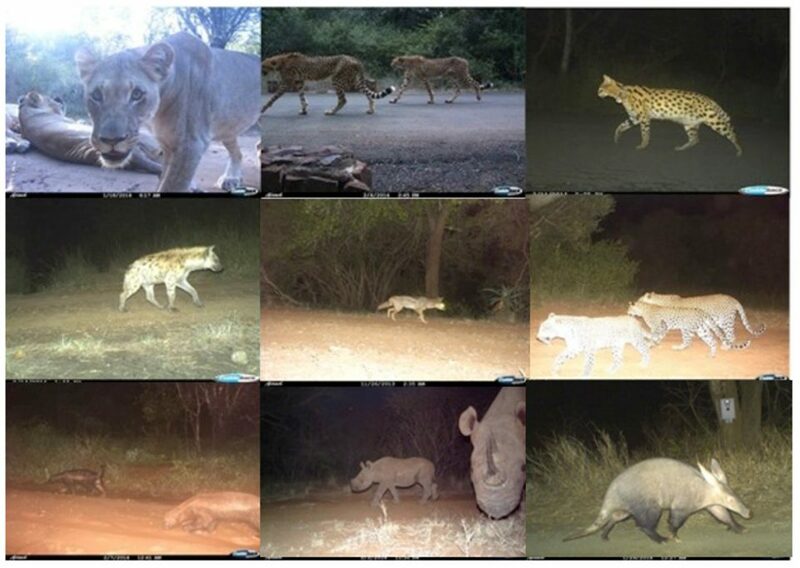 The Wildlife ACT Fund has donated and uses over 350 camera traps across South Africa and the whole of Africa. Please help us get more cameras out there – they are a fundamental monitoring tool that not all conservationists can afford.